Our dedicated Artist, Jason Jones, has designed these limited commemorative pieces. There were 100 pieces made from the Basalt mined for the wall. 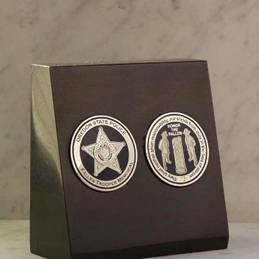 For just $100 you can purchase this piece of art, history, and reflection to support our fallen Troopers.